Overwork is the new normal. Rest is something to do when the important things are done-but they are never done. 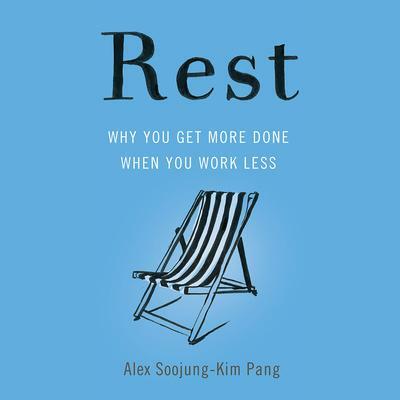 Looking at different forms of rest, from sleep to vacation, Silicon Valley futurist and business consultant Alex Soojung-Kim Pang dispels the myth that the harder we work the better the outcome. He combines rigorous scientific research with a rich array of examples of writers, painters, and thinkers---from Darwin to Stephen King---to challenge our tendency to see work and relaxation as antithetical. "Deliberate rest," as Pang calls it, is the true key to productivity, and will give us more energy, sharper ideas, and a better life. Rest offers a roadmap to rediscovering the importance of rest in our lives, and a convincing argument that we need to relax more if we actually want to get more done.